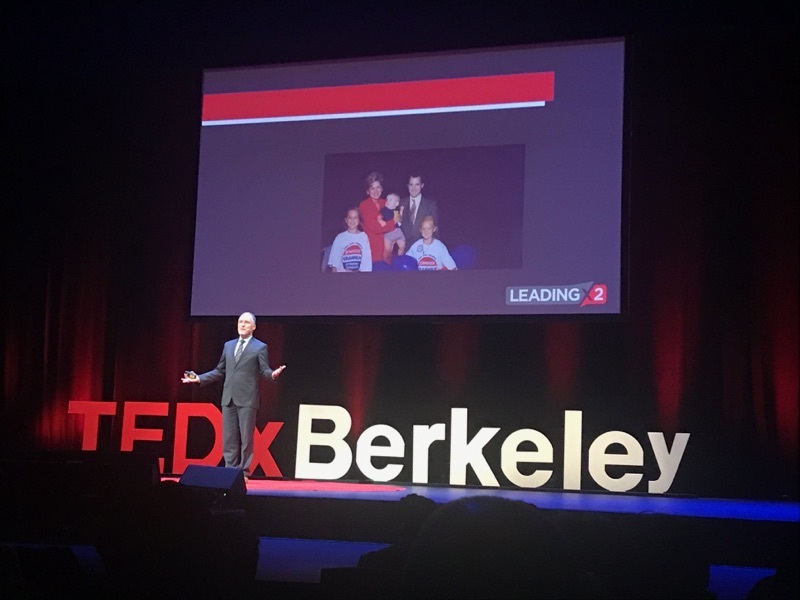 A week ago, I spoke to 1,500 people from the TEDx Berkeley stage at Zellerbach Hall on the UC Berkeley campus. I was blind. I realized this would be the case during my dress rehearsal: the hall was dark and the stage lights were like a row of parked cars all pointing their brights at me. Although the rehearsal prepared me mentally – and I had prepped the talk over and over again – I stood in that red circle of carpet and spoke with blind faith. Oh, how the first laugh assured me. Since exiting my first, freshman year debate round almost 50 many years ago, through the last class I taught last week, I’ve never not walked away with the question rumbling somewhere between my head, heart and gut: “How did I do?” Hold that thought. This past Wednesday I taught my favorite lesson of the semester: How to offer constructive coaching when you see that someone can do better, and you don’t think they see it. Days before class I had invited a few volunteers to think about what constructive coaching they would give me, if we just happened to run into each other at a coffee house. I told them we would simulate this in class. In class, I began with an introduction to planks #1 and #2 of my nine sequential steps of great coaching. These are: (1) Check your own motives! Do you really intend to help the other, or is something else going on, like: venting, payback, look-how-smart-I-am, being a control freak, etc. And (2) Be sure there is a positive foundation in place, with the one you hope to coach. So, for instance, you could ask yourself: When was the last time I told them about a strength that I appreciate in them? Or, am I approaching the ratio of 5 positive comments for every one critical comment? I stopped my lesson at that point and invited one of the volunteers to come to the front, where we would pretend we had just run into each other at the coffee shop. Shefali Sastry came up and played the role magnificently. She asked me how I was and . . . listened. Told me how much she liked class. Then (anticipating Plank #3) asked, “are you open to a suggestion on how you might be even more effective?” I agreed. She talked to me about how frustrating it can be when I am abstract, and she asked me to consider telling more real life stories. I acted defensive (although it’s never difficult to act defensive, thanks to my omnipresent ego). I asked her to clarify and tried to deflect her criticism. At about this point, she asked, “how are you feeling?” and . . . simply listened. When the fifty-five students and I debriefed the exchange, the class identified about ten things she did well. When I asked, “Was there a most important moment?” Ismail offered, “It was when she asked, ‘how are you feeling? '” “Yes,” I jumped in, “and what happened?” He had clearly been observing closely, because he said, you breathed a big sigh. He nailed it. I had to catch up mentally, and put down my defenses. Shefali had brilliantly created this opening with that simple question. Coaching is only coaching – is only useful – if it’s taken into the mind and heart of the one being coached. She was seeing me and helping me listen. I was so impressed with both students. There is a link to TED. Shefali and Ismail could see, where I was blind! Ish also heard my sigh, as I’m sure Shefali saw and heard my ambivalence about getting coached. TED was, I hope, a great performance (I’ll share a link when it’s edited and posted). But Shefali and Ish were not performing. They were engaging. Their senses were locked in. Both experiences reminded me of the power of really being there with someone, and how we can fully utilize that. Or, we can perform (which has its place), but which is about the worst way to “lead by 2.” We could all stand to do less performing and more engaging!